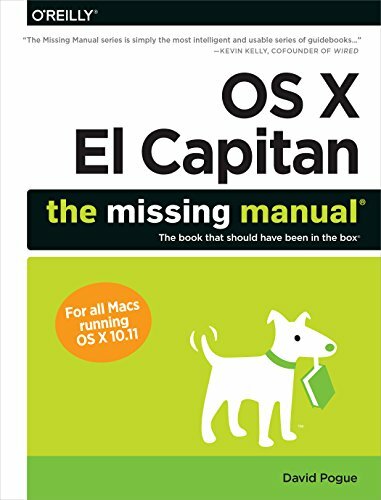 The new edition of David Pogue's #1 bestselling Mac book shows you how to use key new features such as swiping gestures, Notes, a new Spotlight search system, the Safari pinning feature, and Split View. With El Capitan, Apple brings never-before-seen features to OS X-like a split-screen desktop, improved window controls, and amazing graphics. The new edition of David Pogue's #1 bestselling Mac book shows you how to use key new features such as swiping gestures, Notes, a new Spotlight search system, the Safari pinning feature, and Split View. Missing Manuals creator David Pogue is one of the most widely recognized technology authors in the world. A former New York Times technology columnist, he founded and now produces videos for Yahoo Tech.